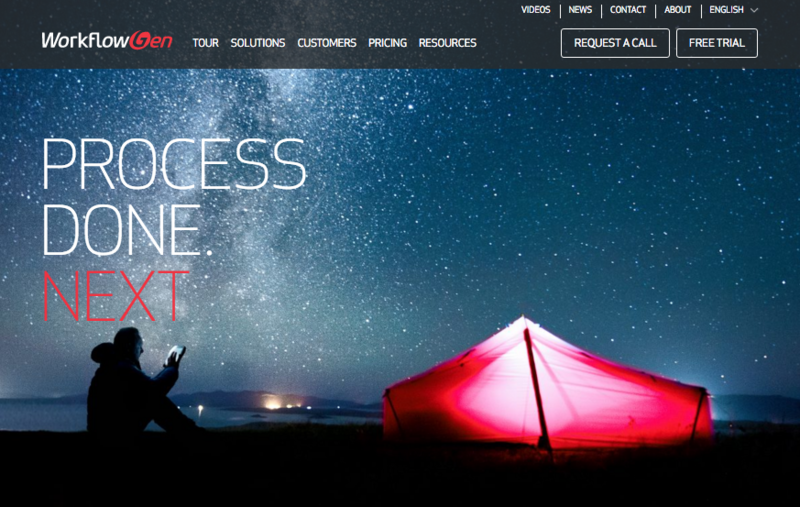 Advantys, a Business Process Management solutions vendor, has launched a new WorkflowGen website as part of its ongoing commitment to providing the best and most fluid online experience to its users. The new design offers a fluid and frictionless navigation while creating a unified visual environment between the product, the helpdesk, the resource center, and the website. This very lean approach emphasizes the essential information about the product, its benefits, and its distinctive positioning. The WorkflowGen Community site has been integrated into a central Resource Center designed to let users access the WorkflowGen knowledge base, release notes, documentation, downloads, tools, support, videos, tutorials, news, professional services, and more, quickly and easily. As well, a new Process Template Library is now available. In addition to the built-in templates provided with WorkflowGen, the library offers examples of processes, including their objectives, the participants involved in the workflow, the expected benefits, and examples of value-added integration. These process templates can be freely downloaded and customized by the users. The WorkflowGen BPM software is developed by Advantys. Founded in 1995 by the current management team, Advantys specializes in the creation of information systems designed to simplify complex business communication exchanges. Advantys’ products have been deployed by thousands of customers worldwide to automate processes, publish web sites, as well as collaborate and develop web applications. First released in 2003 by Advantys, WorkflowGen is an Enterprise Business Process Management software used by 500 clients in 70 countries and 1,000,000 users. Organizations of all sizes use WorkflowGen to quickly and easily deploy critical business applications while benefiting from an intuitive workflow, the best cost/value ratio and a maximum scalability.